LOVE WHAT YOU DO and you will never work a day in your life!!! A little motivation Monday for you aspiring creative ladies because this is exactly how I felt when I was invited to fashion illustrate inside the St. John Knit headquarters in Orange County. This special day was for a top client of St. John's who was in town to preview the new Fall collection, have a beautiful lunch and receive a fashion illustration completed live by me with watercolor! I thought this idea was so unique and now the client has a special piece of original art to remember her special day. 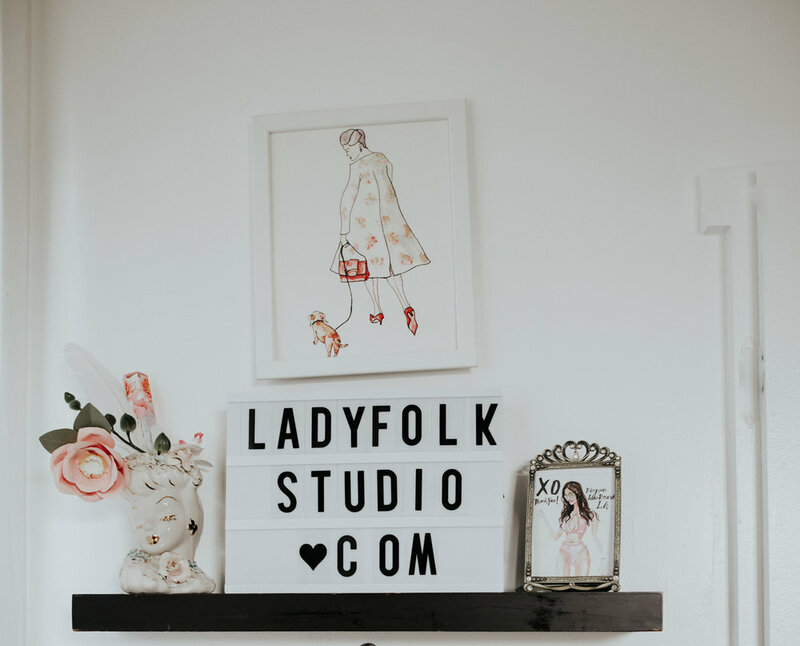 If you are interested in hiring a fashion illustrator for your event or special meeting you can contact me via email kimberly@ladyfolkstudio.com. I've decided to keep the client anonymous out of respect for her privacy. I'm always looking for a fresh perspective. Updating my gallery wall is one way I keep my studio rotating with new ideas. You can read my previous post How-to-Style an Eclectic Art Gallery Wall for more ideas about hanging and styling a gallery wall. This post is more about the art! I am looking forward to refreshing my gallery wall and have added a few more original pieces to the "small art" section of the shop. For more details continue to read this post or click on the product links at the end of this post to see more. Subscribe to "In the Studio" Weekly! Sign up with your email to receive creative inspiration for your life delivered to your inbox every Monday. Yes Way Rosé, new print available in the shop! Summer time is all about the Rosé! Keep it chilled in your fridge or freeze it for some frozé, it's sure to delight either way! You might have seen me post this original watercolor art on insta, and due to popular demand I have decided to offer it as a a print! 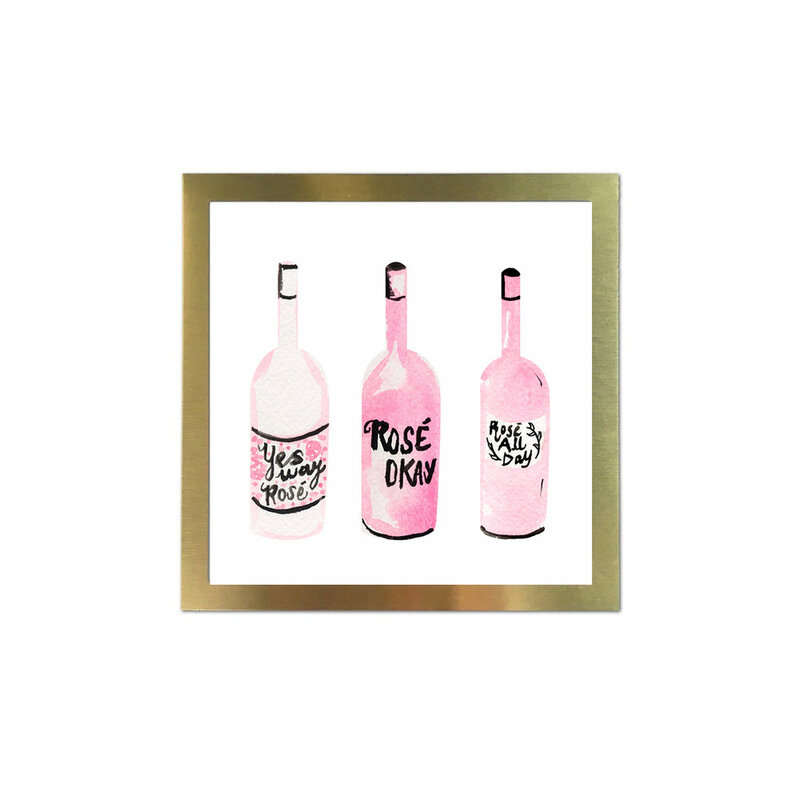 The Yes Way Rosé is available framed or unframed, and I think it would be super cute by a styled bar cart. All about the options... Yes Way Rosé is available in a 4"x4" print with matte framed in brushed metal, 8"x8" framed in brushed metal with no matte or just order the print and frame yourself! Stay tuned for more Rosé themed blog post coming this week! Including a recap of my private Roses and Rosé watercolor workshop for Sivan Ayla! 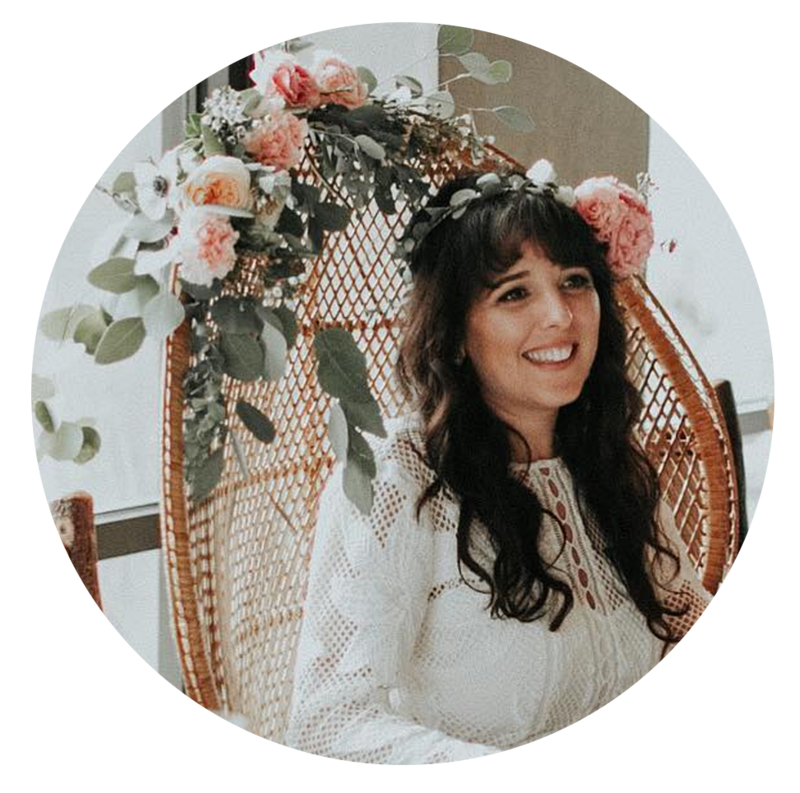 Subscribe with your email address to join my Monday morning weekly email full of inspiration for your week, the latest workshop announcements & live art events!